PLANGRIDEV: DISTRIBUTION GRID PLANNING AND OPERATIONAL PRINCIPLES FOR ELECTRIC VEHICLES MASS ROLL-OUT WHILE ENABLING DER INTEGRATION. UNIFHY - UNIQUE GASIFIER FOR HYDROGEN PRODUCTION. FAR SEAS - NEW POWERTRAIN OPTIONS FOR SUBMARINE PROPULSION. TECHNOLOGICAL DEVELOPMENT FOR PRODUCTION, TRANSPORT AND STORAGE OF HYDROGEN AS ENERGY VECTOR. ITALIAN MINISTRY OF EDUCATION, UNIVERSITY AND RESEARCH. TEPSI, ZECOMIX - ZERO EMISSION COAL-MIXED TECHNOLOGY FOR ENERGY PRODUCTION. HOST – HUMAN ORIENTED SUSTAINABLE TRANSPORT. MOBIDAYS - SUSTAINABLE MOBILITY DAYS . ANDENERGY – ANDEAN ENERGY HUB. 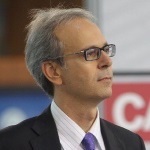 Presidente dell'Associazione scientifica IASS - Italian Association for Sustainability Science.